At Plus North Ann Harvey had a catwalk show and I was impressed with the range of outfits they had. When I was contacted by them I jumped at the chance to review an item from the collection. They still do a lot of the classic styles which I'd previously associated with Ann Harvey and targeted at an older more mature market. They also have a number of style that I really love and I would be perfect for work. I work in an office with a business dress, dress code. Another thing I like is the use of colour. 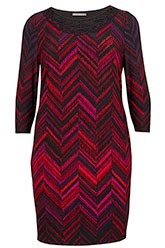 Purples, blues and a lot of berry colours perfect for autumn. 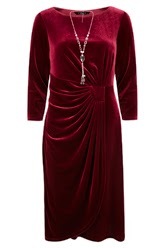 I also spotted this velour dress in berry, there is also a black version with bead detail on the knot area. These would be great for Christmas time. 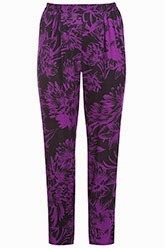 As much as I love dresses when I came to pick an item I was in full on holiday mode and chose the amazing peg leg trousers, I kept going back to them. Sadly they didn't arrive before my holiday and the weather has been so miserable since I've been home I've really struggled to get some decent pictures of them. I have worn them twice since they arrived. I wore them shopping with my mum and for work. Both times I wore them with black tops. A vest top and a long sleeve top. 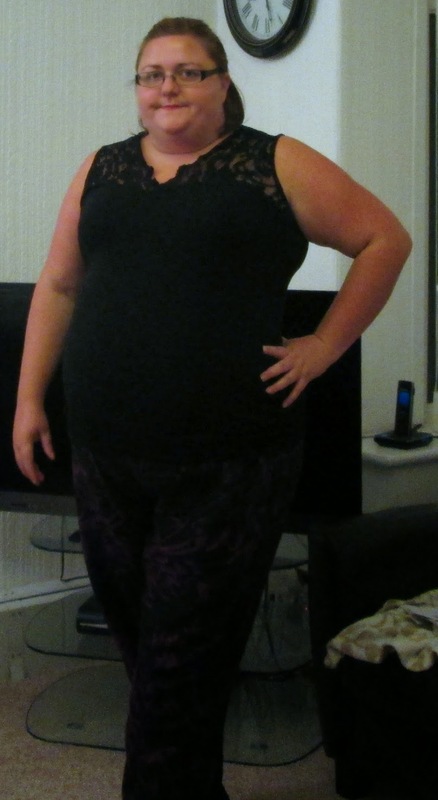 I have also bought a black oversized top to wear with them when I go on a Hen do in York at Halloween. Sadly I'm having to use my point and shoot camera and it really isn't good enough for inside photo's and it was too dark and wet to take pictures outside by the time I go home from work. They are very soft and light and excellent for summer but I do think they will still work for autumn and I think I might still be wearing them in winter with a pair of temperature control tights underneath! I tried taking a picture with the flash to try and show you how bright they are but the flash has washed them out a bit, but at least you can see the pattern. The elasticated back makes them comfy and easy to wear, the only down sides for me are they don't have pockets and the elastic in the waist bad does seem to twist but it does easily go back to the right place. I ordered the size 24 as I have a massive fear of trousers splitting when I sit down and they are a bit too big so If you were ordering them I'd go for your normal size. 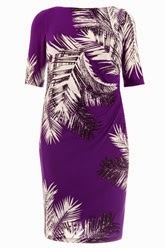 I'm really pleased with this Ann Harvey collection, it's far more modern than I expected and I think perfect for someone like me who is in her early (Yep sill early) 30's and works in an office and needs to be more smart than casual in the office. A lot of the items go up to a size 32 (From what I can see there is around 62 items and 43 are listed to a size 32) which is a massive amount for a collection. I was sent the trousers free of charge but as always all opinions are my own. Have you got anything from Ann Harvey? 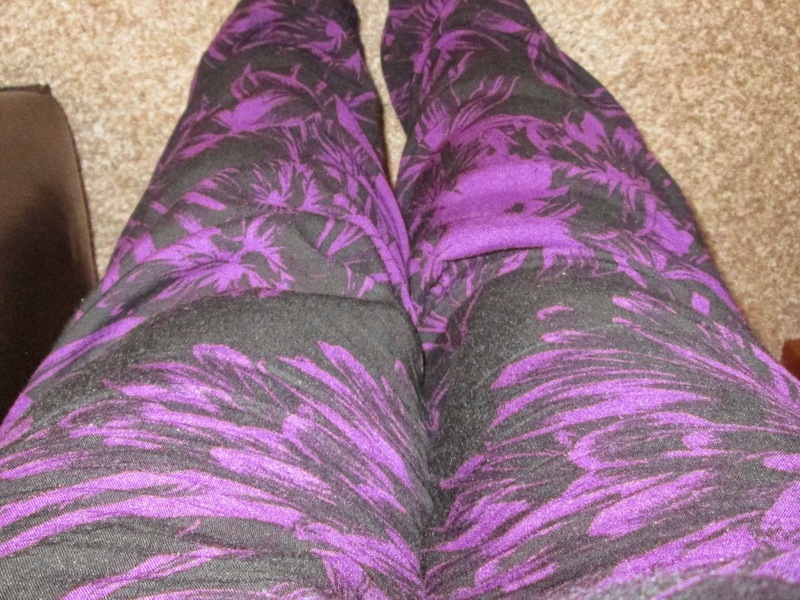 What do you think of my Trousers?